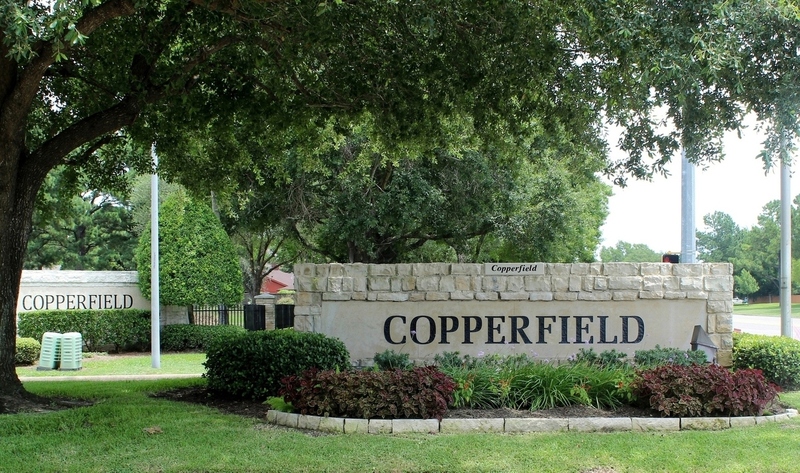 Copperfield was one of the original master-planned communities in Northwest Houston. This 2000+ acre community is made up of 7 villages off Highway 6 and Highway 290: Copperfield Place, Easton Commons, Middlegate, Northmead, Southcreek, Southdown, and Westcreek. With a wide variety of home prices in the 77095 zip code and home styles to choose from, it’s a great community for the first-time home buyer to the move-up buyer. Copperfield has a very active homeowner’s association with community events throughout the year. The neighborhood boats multiple parks, community pools, miles of hike and bike trails, and sports fields. Homeowners also enjoy easy access to the Copperfield Racquet and Health Club. Located off Highway 6 and Longenbaugh, the Club offers memberships to tennis and fitness enthusiasts. With 12 lighted courts, the Club hosts a variety of leagues, tournaments, and social events and fundraisers. There are three neighborhood elementary schools and one middle school, Labay Junior High. The three high schools zoned for the community are only minutes away. Because of its close proximity to area shopping, businesses, restaurants, downtown Houston, and nationally recognized Cy-Fair schools, Copperfield homes for sale are very popular and offer a great option for home buyers looking to for housing in Northwest Houston.